Eric Marsh is the superintendent of the Prescott Fire Crew. They work on containing and stopping forest fires. While he loves his job, he hates the disrespect he receives from Hot Shots. Hot Shots are the top forest firefighters. They make the decision and the rules. And Marsh has seen their decisions cost people their homes and lives. He knows that he and his crew are the best and hopes they will be certified as Hot Shots. He has 17 great crew members but is looking for more. He gets 2 new men. He fills one spot with a Legacy and another with Brenden. Brenden is trying to trail a new path in his life since becoming a father. He has been sober for a few months and wants to provide a good living. Marsh’s men work hard and they get good news. 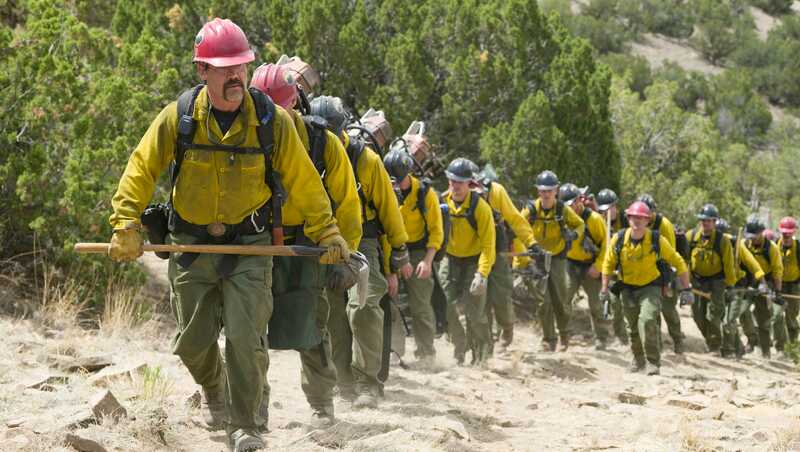 The Wildland Division Chief, Duane Steinbrink, is going to fight to ensure that Prescott Fire Crew become the first municipal team to become a Hot Shot crew in the USA. Based on Granite Mountain by Brendan McDonough, this ‘based on real events’ movie is a story of brotherhood, triumph, and pain (FTC Affiliate Disclaimer). While you can’t get to know each person individually, you will see the real men at the end. It’s hard to see how much went wrong on the day of the Yarnell Hill Fire, but its great to see how one man honored so many. This movie has the same fight as The 33 but with a much different ending. You will leave with a heartfelt understanding of how firefighters view wildlands; not beautiful but as fuel. This should be seen on the big screen to appreciate the strength of the fire. It rolls through the forest like snow in an avalanche. It is awe strikingly disastrous. Be prepared to tear up dooming the end credits.